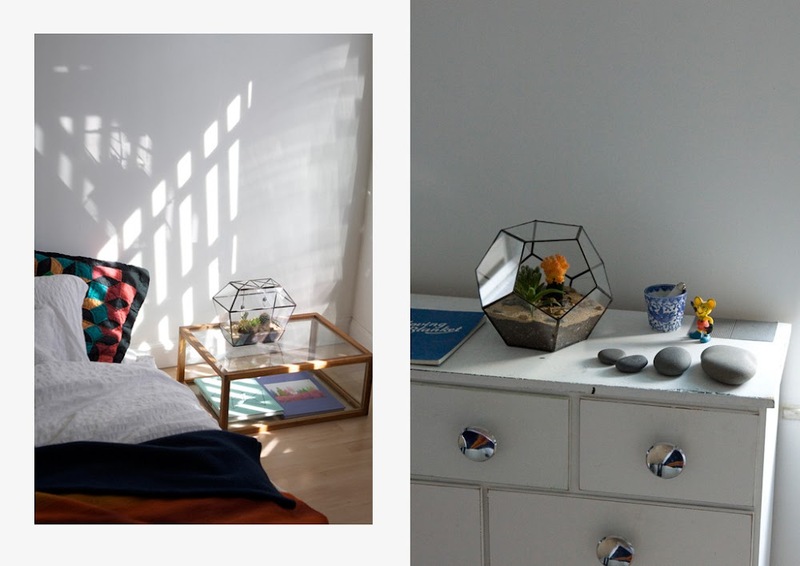 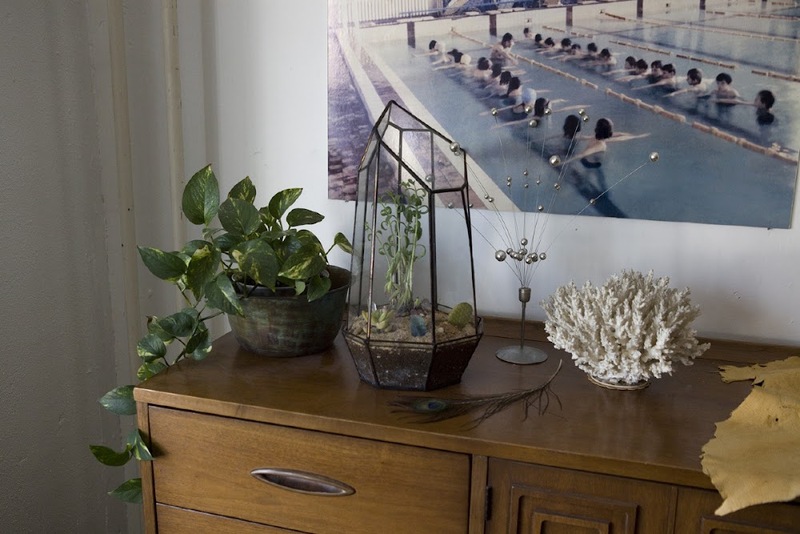 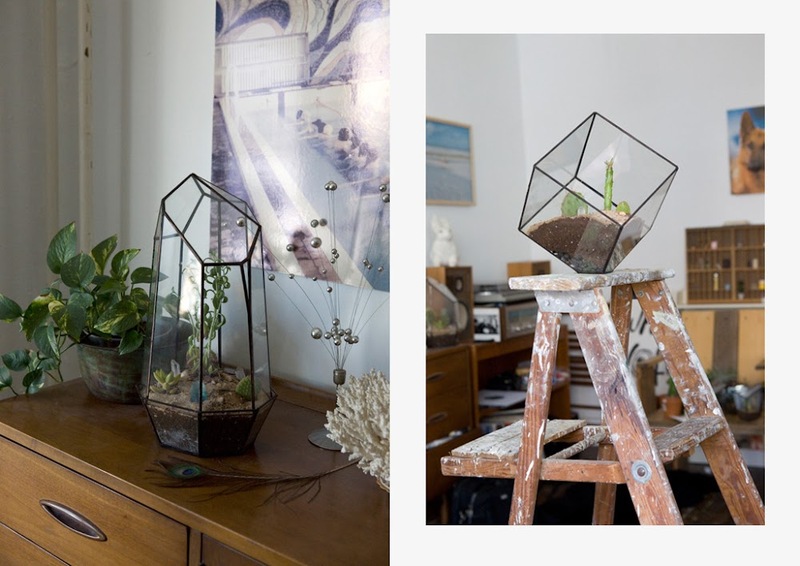 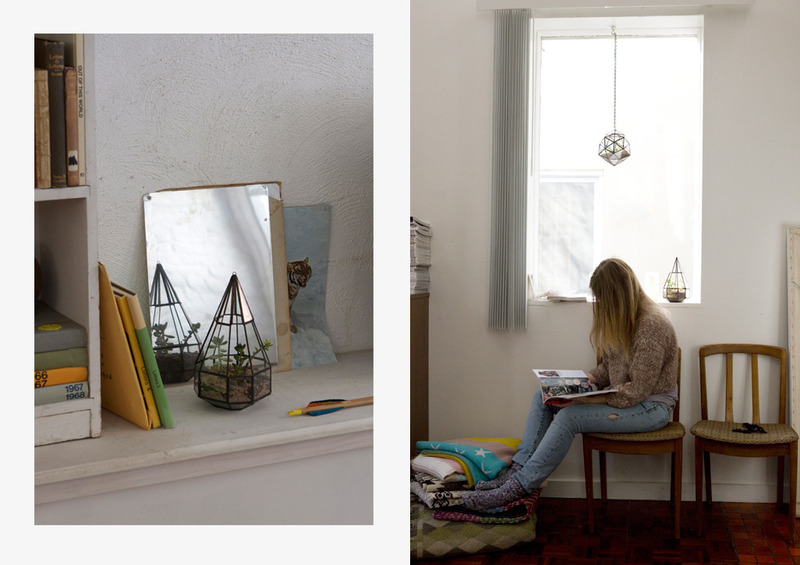 Time for yet another post about interiors..
Today, while trawling through Moon to Moon, my fave eclectic home decor blog, I stumbled across the most beautiful terrariums. 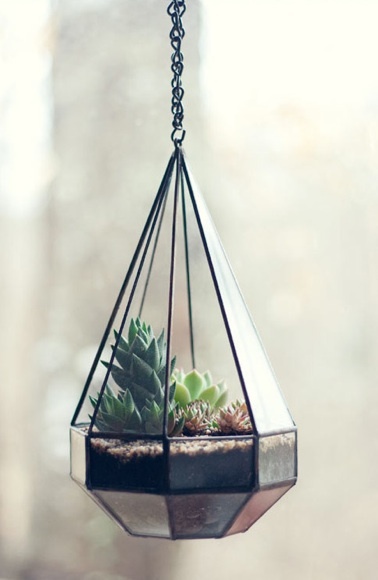 If you still haven't discovered the wonderful world of these magical little glass gardens then now is the time. 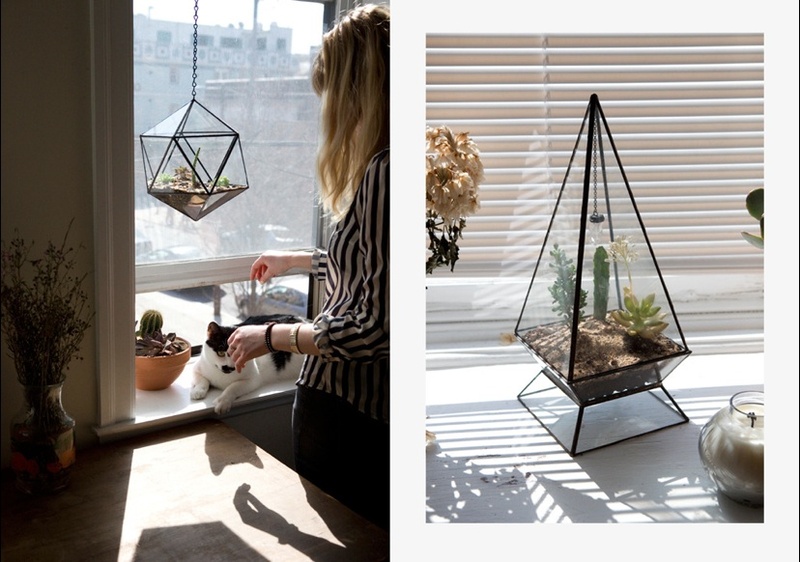 I just can't get enough of these stunning creations by Score + Solder and have fallen quite hard for the Suspended Teardrop terrarium, thank goodness they ship!